Представляем нового партнёра NAUKA – компанию Postgres Professional! We are introducing a new partner of NAUKA! Since 2015, our colleagues have been playing the role of Russian evangelists of PostgreSQL, an open source database management system. This DBMS helps developers to protect the integrity of data, create a fault-tolerant environment, as well as manage data regardless of its size. 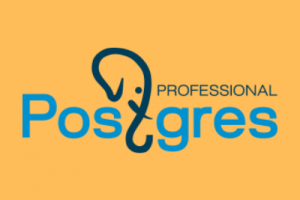 PostgreSQL has earned a strong reputation due to its proven architecture, reliability, extensibility and dedication to the idea of open source. We are glad to cooperate! And we’ve started to transform our ECM NAUKA using the PostgreSQL DBMS!